and leadership that best serve the client. Texans have always fought for their freedom. Texans believe in liberty and the constitution. Mackey is a native born Texan. Since 1983 the Mackey Law Firm has defended citizens against criminal charges. It has been said and it is true that you need a criminal defense attorney with “experience that counts.” Experience that shows a winning record in criminal cases, the Mackey Law Firm knows how to defend against criminal charges having defended death penalty cases to traffic tickets. The goal is to get your case dismissed or a reduction in your charge. The founding and managing partner, George Mackey, began his criminal law career in 1974 as a prosecutor in the Tarrant County District Attorney’s office. He quickly rose in the ranks and became a chief felony prosecutor in three different felony courts. Many of the high profile cases he prosecuted were documented in the Fort Worth Star-Telegram. Now as a criminal defense attorney with over 30 years of criminal law experience, this is the law firm that can protect your rights and your future. Having established a tough trial lawyer reputation as a prosecutor, Mackey, upon leaving the DA’s office soon established his reputation in coming to the defense of clients in criminal cases. The Mackey Law Firm defended the first DNA murder case in Texas. The case established the legal precedent for DNA admissibility in Texas and is a landmark case frequently cited by courts. This is yet another example of the type of experience and toughness that the Mackey Law Firm can bring to bear in your case. A criminal defense firm in the Metroplex, the Mackey Law Firm has the experience to get results against all odds. Mackey was named as a National Top 100 Trial Lawyers in criminal defense in 2014. You deserve a board certified lawyer in criminal defense to represent your best interests. No client represented by the Mackey Law Firm has received the death penalty. The Mackey Law Firm has avoided the death sentence for the clients the firm has represented in capital cases. Not only did the Mackey Law firm defend the first DNA murder case in Texas which is still cited by courts, the Mackey Law Firm tried a jury trial in which the client was exonerated from guilt by post conviction DNA evidence due in large measure by the firm’s efforts. In a jury trial for murder, the firm was successful in obtaining a jury verdict reducing a first decree murder case which carries a maximum of life or 99 years in prison to a misdemeanor. Results count. CONTACT THE MACKEY LAW FIRM. Tarrant County finally, reluctantly admits there are wrongful convictions with a man who served 20 years for a murder he did not commit. DNA mistakes? Wrongful convictions? The answer is yes. Forensic scientist somewhat reluctantly now admits there has been an ongoing problem for years with DNA mixture interpretations. DNA mistakes? A noted forensic scientist stated, “DNA was regarded as the gold standard. Big mistake.” Call George Mackey, a noted trial lawyer in DNA. 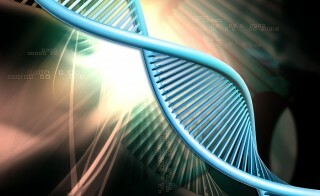 DNA Under Attack – Once the gold standard, DNA evidence is no longer considered to be infallible. DNA found at the scene does not always mean instant conviction. See the Mackey Law Firm. Dismiss drug possession cases with bad searches. The police do not always have the right to search you for drugs. Blood alcohol tests, and the labs that perform the tests, have their own unique set of problems that cast doubt on the results. Scandal continues to explode in Tarrant County prosecutions. DA reveals some laboratory technicians untruthful about lab results. Tarrant County DA’s scandal spreads. Over 4000 cases in jeopardy where officers were untruthful. DA confirms untruthful police. Scandal continues unabated; DWI blood test lab under scrutiny. The Tarrant County lab for blood analysis puts DWI convictions in question. Convicted of DWI? Call us. New lab scandal revelations continue to be revealed for DWI blood draws. If you have a pending DWI case, contact this office. A nationwide lab scandal has hit Tarrant County. A laboratory doing blood tests for DWI cases has fired two analysts for dubious and inaccurate results. If you pled guilty to DWI in Tarrant County in the last year, call us to analyze your case. Copyright © George Mackey 2014-2019. All Rights Reserved. Office Hours: 8:30 a.m. – 5:30 p.m.